Borgo Salcetino was established in 1996 when Valneo and Tonino Livon, two Friulan winemakers decided to spread their skills in winemaking to the Chianti Classico area, precisely to Radda in Chianti. The estate comprises 30 hectares, half of which are dedicated to wine growing. An important gradual renovation of the vineyards has been carried out, which included reaching a density of 7000 plants per hectare, and improving the quality of the vines, and integrating the current native Sangiovese and Canaiolo with an experimental Merlot. Made from Sangiovese with 5% Canaiolo grown on limestone, clay, sand soil. The grapes are hand harvested and destemmed and the fermentation takes place at a controlled temperature of 23°C on the skins for twenty-two days. Then the malolactic fermentation takes place in wood. At the end of this period, the wine is assembled and bottled with a further period of refinement in the bottle. This wine is garnet red in colour. On the nose it is intense and recalls raspberries and cherries and a floral element (violets). 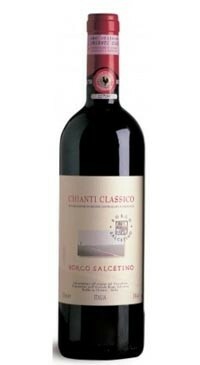 The palate is medium bodied with concentrated red fruit, juicy fresh acidity and light to medium tannins. The overall impression is one of balance and harmony. The 2016 vintage was excellent in Tuscany with Chianti Classico enjoying good quality fruit though the yields where down compared to the average. The wines are characterized by their intense fragrance.